*If you would rather not use a blanket decorate a large piece of fabric or a bed sheet. Before the session cut the A4 paper into squares. 1. Cut the A4 paper into a square 21 x 21 cm in size. Fold the square into quarters and cut shapes out of the folded edges. 2. Unfold the paper to reveal your ‘snowflake’. 3. Stick the snowflake to the blanket using sticky tape. Carefully colour in the shapes then remove the snowflake. 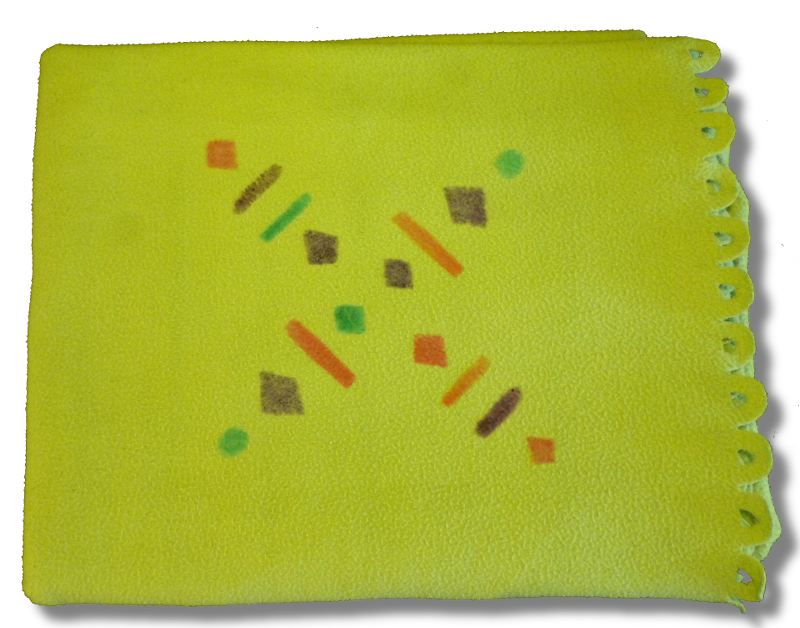 Select a different area of the blanket and re-use the snowflake to add to the pattern.